At the end of year staff meeting we discussed whether there should be a Christmas tree in Poulstone. Poulstone is not usually decorated for Christmas, so this means no Christmas Trees. Some felt uneasy about having to cut down a tree for decoration for Christmas. Some suggested a real Christmas tree will cause too much of a mess and others, a fake Christmas tree will just not be authentic enough. After much debate, it was decided, we should grow our own Christmas tree in the gardens and decorate it for future Christmases. Later, I took a walk in the gardens of Poulstone. 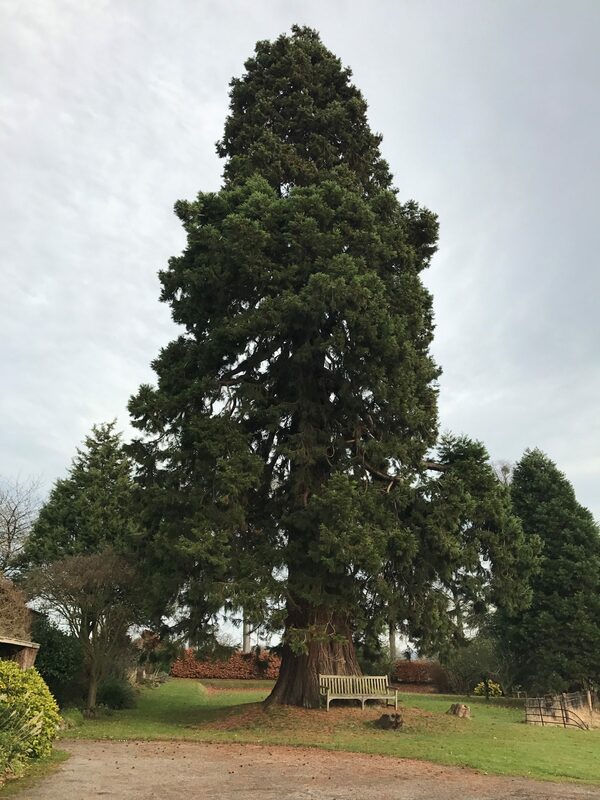 I was reminded that Poulstone has one of the largest Christmas trees in the country (we think!) on its grounds. 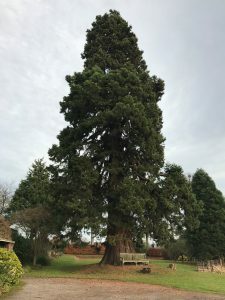 It was planted almost 150 years. It is soooo big that we forget it is also a Christmas tree, amazing what you can take for granted! Soon it will have a baby sibling. Well, it has taken a year, but we have at last updated and published our new website www.poulstone.com. We hope you enjoy it. We also welcome Merle to the team who will help look after the gardens. She has been working hard raking the leaves and pruning the fruit trees. Merry Christmas and Seasons Greetings to all.